Daisy Miller is one of Henry James’s most famous stories. It was first published in the Cornhill Magazine in 1878 by Leslie Stephen (Virginia Woolf’s father) and became instantly popular. It was reprinted several times within a couple of years, and it was even pirated in Boston and New York. On the surface it’s a simple enough tale of a spirited young American girl visiting Europe. She is a product of the New World, but her behaviour doesn’t sit easily with the more conservative manners of her fellow expatriates in Europe. She pushes the boundaries of acceptable behaviour to the limit, and ultimately the consequences are tragic. Daisy Miller represents a difficult case for making distinctions between the long short story and the novella. 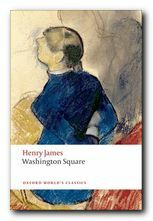 Henry James himself called it a ‘short chronicle’, but as a matter of fact it was rejected by the first publisher he sent it to on the grounds that it was a ‘nouvelle’ – that is, too long to be a short story, and not long enough to be a novel. It should be remembered that the concept of the novella only emerged in the second half of the nineteenth century, and publishers were sceptical about its commercial appeal. This was the age of three-volume novels, serial publications, and magazine stories which were written to be read at one sitting. If it is perceived as a long short story, then the basic narrative line becomes ‘a young American girl is too forthright for her own good in unfamiliar surroundings and eventually dies as a result’. This seems to trivialize the subject matter, and reduce it to not much more than a cautionary anecdote. The case for regarding it as a novella is much stronger. Quite apart from the element of length (30,000 words approximately) it is a highly structured work. It begins with Winterbourne’s arrival from Geneva, and it ends with his return there. It has two settings – Vevey and Rome. 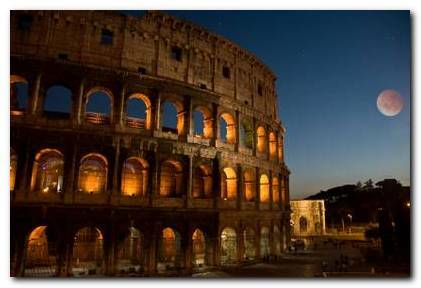 Daisy travels from Switzerland ‘over the mountains’ into Italy and Rome, one of the main centres of the Grand Tour. And it has two principal characters – Winterbourne and Daisy. It also has two interlinked subjects. One is overt – Winterbourne’s attempt to understand Daisy’s character. The second is more complex and deeply buried – class mobility, and the relationship between Europe and America. Daisy’s family are representatives of New Money. Her father, Ezra B. Miller is a rich industrialist. He has made his money in unfashionable but industrial Schenectady, in upstate New York. Having made that money, the family have wintered in fashionable New York City. This nouveau riche experience has given Daisy the confidence to feel that she can act as she wishes. But the upper-class social group in which she is mixing have a different set of social codes. They are in fact imitating those of the European aristocracy to which they aspire. In this group a young woman should be chaperoned in public, and she must not even appear to spend too long in the company of an eligible bachelor because this might compromise her reputation. Daisy has the confidence and the social dynamism provided by her father’s industrial-based money back in Schenectady, but she is denied permanent entry into the upper-class society in which she is mixing because she flouts its codes of behaviour. Conversely, Winterbourne is attracted to Daisy’s frank and open manner, but he does not understand her – until it is too late. In fact he fails to recognise the clear opportunities she offers him to make a fully engaged relationship, and as she rightly observes, he is ‘too stiff’ to shift from his conservative attitudes. The text does not make clear his source of income, but he obviously feels at home with the upper-class American expatriates, and his return to Geneva at the end of the novella to resume his ‘studies’ underscores his wealthy dilettantism. He is trapped in his upper-class beliefs in a way that Daisy is not in hers. She has the confidence of having made a transition from one class into another at a higher level. She has a foot in both camps – but her tragedy is that she fails to recognise that she cannot enjoy the benefits of the higher class without accepting the restrictions membership will impose on her behaviour. Part I. Frederick Winterbourne, an American living in Geneva is visiting his aunt in Vevey, on Lake Leman. In the hotel garden he meets Daisy Miller via her young brother Randolph. He is much taken with her good looks, but puzzled by her forthright conversation. He offers to show her the Castle of Chillon at the end of the lake. Part II. Mrs Costello, his rather snobbish aunt warns him against the Miller family on the grounds that they lack social cachet. When he visits the castle with Daisy she teases him, offers to take him on as tutor to Rudolph, and is annoyed when he reveals that he must leave the next day. Nevertheless she invites him to visit her in Italy later that year. Part III. Some weeks later on his arrival in Rome, Winterbourne’s friend Mrs Walker warns him that Daisy is establishing a dubious reputation because of her socially unconventional behaviour. Daisy joins them, and Winterbourne insists on accompanying her when she leaves to join a friend alone in public. He disapproves of the friend Signor Giovanelli who he sees as a lower-class fortune hunter, and Mrs Walker even tries to prevent Daisy from being seen alone in public with men. Part IV. The American expatriate community resent Daisy’s behaviour, and Mrs Walker then snubs her publicly at a party they all attend. Winterbourne tries to warn Daisy that she is breaking the social conventions, but she insists that she is doing nothing wrong or dishonourable. He defends Daisy’s friendship with Signor Giovanelli to her American critics. Finally, Winterbourne encounters Daisy with Giovanelli viewing the Colosseum by moonlight. Winterbourne insists that she go back to the hotel to avoid a scandal. She goes under duress, but she has in fact contracted malaria (‘Roman Fever’) from which she dies a few days later. At the funeral Giovanelli reveals to Winterbourne that he knew that Daisy would never have married him. Winterbourne realises that he has made a mistake in his assessment of Daisy, but he ‘nevertheless’ returns to live in Geneva. Elizabeth Allen, A Woman’s Place in the Novels of Henry James, London: Macmillan Press, 1983. William T. Stafford (ed), James’s Daisy Miller: The story, the play, the critics, New York: Scribner, 1963.